Dieser Beitrag wurde veröffentlicht am 23/03/2018 von lilly. Seattle is one of my favourite cities in the world. Whenever in Seattle, I make sure to take a walk to Pike Place Market, where you can buy handicrafts and the freshest fish. On my way I usually stop at the the promenade to enjoy this magnificent view of the waterfront with the Ferris Wheel. 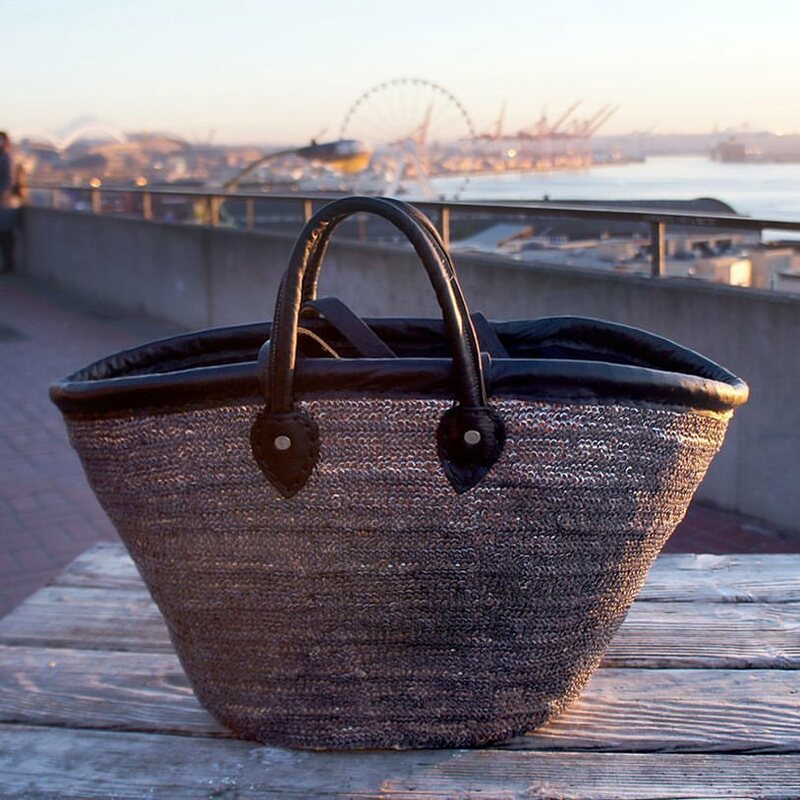 My perfect travel companion on this trip was the #LKD Pebble Stone basket. Its stone gray sequins perfectly match this city ?